Ceramic decorative buttons. Tea set. 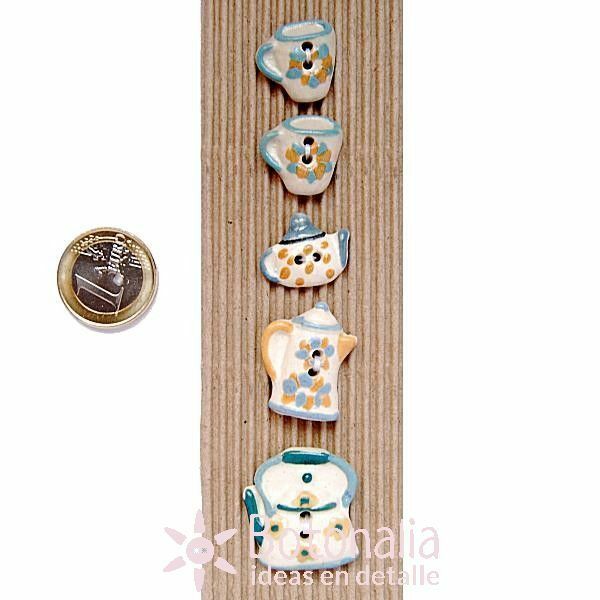 Product Description: Buttons with the shape of cups and pots for tea and coffee. 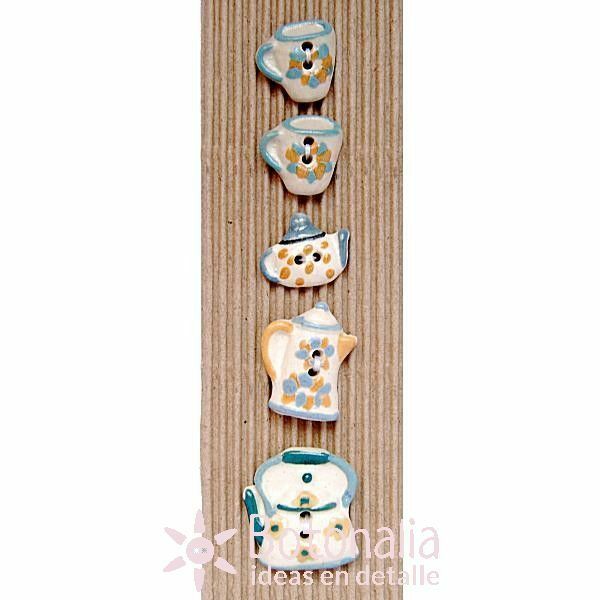 Content: Card with 2 cups, 2 teapots and 1 coffee pot (5 buttons). Diameters from 19 to 27mm.